A total of 17 councils across the West Midlands go to the polls on 1 May for this year's local elections, in the biggest electoral test Gordon Brown has faced since he became prime minister. Voting will take place from Worcester in the south to Stoke-on-Trent in the north and across all of the metropolitan authorities which make up the West Midlands conurbation. In recent years, Labour has been pegged back to its heartlands and now only has overall control in just three councils - Wolverhampton, Sandwell and Nuneaton & Bedworth in Warwickshire. In 2007 the Conservatives took control of no fewer than eight new councils in the area - making gains across Herefordshire, Shropshire, Worcestershire and Warwickshire. 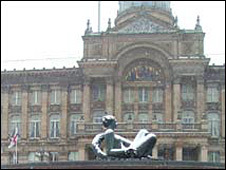 They also became the largest single party on Birmingham City Council for the first time since 1983. The results cemented the Tories' place as the dominant force in local government in the West Midlands, as the Liberal Democrats also saw their support ebb away in places like Malvern Hills. So what are the results to look out for this time around? The contest in Nuneaton & Bedworth comes top with half the council being elected. The Conservatives need to make four gains to take overall control from Labour. In nearby Coventry, the Conservatives are already in power but if they lose any of their seats the council could fall back into no overall control. 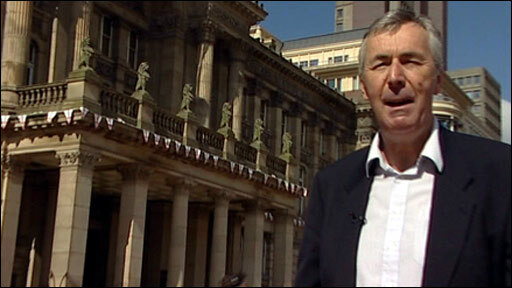 Patrick Burns, political editor, previews the 2008 local elections. In Worcestershire there are three contests worth looking out for, in Worcester, Redditch and Wyre Forest as each council currently has no overall control and a third of the seats are up for grabs. Labour won a by-election in Worcester last year to deprive the ruling Tories of power. But was this a flash in the pan or a sign of a longer term revival for Labour in the home of "Worcester woman"? That demographic lived in then-Conservative marginal seats in the Midlands, and was targeted by Labour before the 1997 election. In Redditch, where Home Secretary Jacqui Smith is the MP, Labour will be desperate to deny the Conservatives the four extra seats they need to take overall control. Across North Worcestershire in Wyre Forest elections are never easy to call as the influence of the Independent Health Concern campaign continues to exert a huge influence on the results. On paper, the four gains the Conservatives require looks achievable, but the number of minority parties and splinter groups involved may see a result that defies conventional logic. Into the conurbation and there is little chance of any wholesale change. Solihull looks the most likely to see movement with the Tories needing to gain two more seats to take overall control. In Birmingham itself the battle to be the largest party, between Labour and the Conservatives, looks to be the only prize at stake with neither party looking like it will take overall control. Up north sees Stoke-on-Trent as the only unitary authority going to the polls this time. Once a Labour stronghold, the party has lost its grip on the city in recent years with the rise of the City Independent Group and to a lesser extent the BNP. Labour is defending 11 of its seats this time around with other groups defending nine. Elections in Stoke recently have proved difficult to predict and this time it is no different as a third of the council's 61 seats are contested. Finally there are 22 seats up for election in Newcastle-under-Lyme in a council where there is currently a split between three parties. The Conservatives and Labour both have 20 councillors and the Liberal Democrats have 18. Can any of them gain the 31 needed to take overall control? In addition to the councils mentioned above there will also be elections in the following Midlands authorities on 1 May: Cannock Chase, Rugby, Stratford-upon-Avon and Tamworth. Six councils will count their votes on Friday morning: Newcastle-under-Lyme, Redditch, Rugby, Solihull, Stoke-on-Trent and Solihull.